My Spring & Summer Beauty Must Haves! 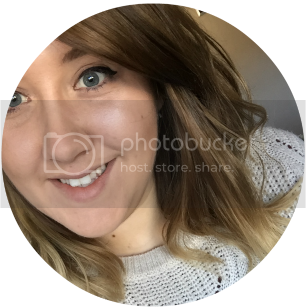 Summer is nearly upon us and I don't know about other beauty bloggers, but my make-up and skincare regimes change quite a lot. All the deep moisturising creams and dark colours are normally put away and in their place comes out the tinted moisturiser and the pastel nail varnishes. You can't help but get in touch with the season! To celebrate the good weather, I thought I would create a mini wish list of all the products I feel would be perfect and a definite must have for the Summer! First off is my favourite, Make-up! As I've mentioned many times before in other posts, I suffer with terrible oily skin and even the matte and "oil-defying" foundation will not make any difference to me. Luckily for me though I've been reading a lot of positive reviews about the new L'Oreal Infallible 24 hour matte foundation and I'm dying to try it out! To add to my perfect summer face I've also included the No7 Pop & Glow blush and shimmer duo stick. Not only does the packaging look just gorgeous but it looks to give a gorgeous summer glow for your cheeks. To finish off my make-up I also popped in the Bourjois Aqua Laque lipstick. For me in summer, the brighter and juicier the better and this lip laque is perfect for this. The only problem I'd have would be deciding what shade to buy. Moving on to skin care now and my favourite pick is the Lucid Magnitone by Pixie Lott. I've heard lots of good things about Magnitone and how can anyone say no to a cute little device that clears all your bad skin away? The cleansing & exfoliation brush naturally unclog pores, and sweep away dry and dead skin cells, leaving you a clearer complexion and I have to admit this is a definitely a must have in the Summer seasons! As well as the Magnitone, my picks is the No7 Protect and Perfect Intense Advanced serum. I was looking at this at the end of last year and I always regret not buying it. As well as the big promotion and advertisements for this product, I've also seen a few beauty bloggers raving about this! After sitting in the sun all day I definitely agree that your skin needs a bit of protecting and this is the product I would pick! Lastly on my skincare picks is the Soap & Glory Heel Genius cream. I've reviewed this before and I'm currently finishing my second tube. It's an absolute god send for sandal season! Lastly is hair and my all time favourite product at the moment, the Lush No Drought dry shampoo! I actually wasn't that keen on this when I first brought it but since changing up when I use it from in the morning to last thing at night, I've noticed a massive difference! Not only does it cure my horrible greasy roots but it adds gorgeous root boost! 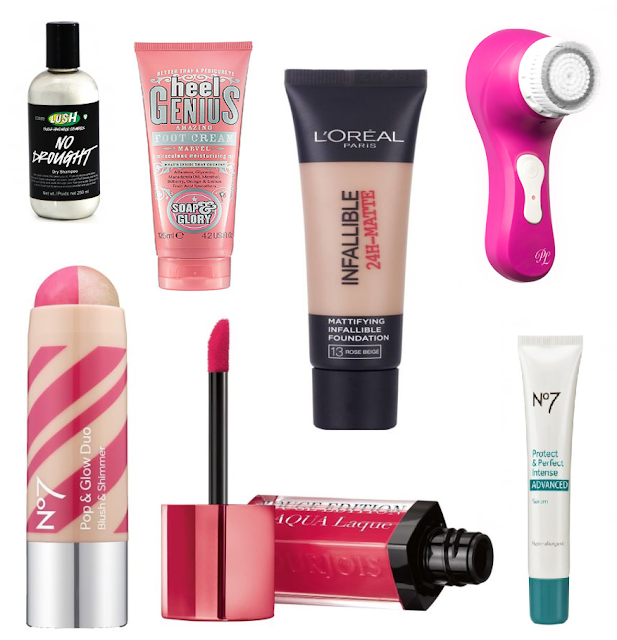 Whats your summer beauty must-haves this year? I really want to try the Pop and Glow stick! I really want to try the L'oreal infallible foundation as well! I've seen so many mixed reviews on it though I can't decide if I actually want to buy it! I'd love to give the magnitone brush a go. I've read so many good reviews! No7 are so underrated, I love their makeup and skincare range!